Use Common Sense before Adopting Another Dog! It’s tempting to want to adopt a cute dog that you see staring at you in a pet store or shelter but unless you’re looking for a new friend to adopt and have done your research and are capable of taking care of a new pet, never adopt on a whim. You are doing the dog more harm than good. I am writing this blog right now because I am very upset about a situation regarding a dog in my neighborhood. This dog was adopted on a whim and it is very clear that this decision wasn’t thought out at all. 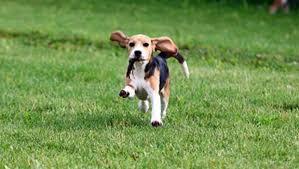 The dog, a very cute Beagle gets loose nearly every day. Yesterday, the owner took him to a dog park about 5 miles away. He jumped out of a window or car door and got away again! If the dog is hyperactive, close the window and turn on the AC or leave the window open just a crack. If the dog jumped out when the car door is open, stay focused, open the door slowly, grab the collar and take the dog out slowly. A little common sense, goes a long way! Luckily, he was found that evening and returned to the owner. All dogs will get loose every now and then but in this situation, it is very apparent that the owner is not capable of handing this pet and is continually placing him in great danger! I say it time and time again before making the choice to adopt any pet, make sure that you can give him a good, safe home. You must also spend the time to train the dog, don’t scream every time he does something wrong. Be persistent and do some basic command training. It is the owner’s responsibility to keep give the pet a good home and keep him safe. I don’t feel that this dog is safe at this point. The holiday weekend is here that means good friends, good times and good music! Edgewater GOLD Radio is your oldies station on Delmarva playing the greatest oldies of all time. The 50s 60s 70s 80s and great standards and Summer tunes. Download the free Edgewater Gold Radio app or listen from our website, Edgewatergoldradio.com. This entry was posted on Saturday, May 26th, 2018 at 9:21 am	and is filed under Pet Supplies. You can follow any responses to this entry through the RSS 2.0 feed. Both comments and pings are currently closed.